In February I was at Loughborough University’s London campus to speak about AI and HCI, at an event called Building Trust in AI: Designing for Consent – a double-bill talk, as it were, with Prof. Shaun Lawson of the NorSC Lab at Northumbria University. I spoke mostly about the evidence I’d given to the UK Parliament to an audience of lawyers, ML engineers, and HCI scholars. In April I was in Germany once again, at the University of Göttingen, for a conference on The American Weird: Ecologies & Geographies. My paper was on ‘400 Years of Millennialism: a Doxa of the American Weird’, and a book is forthcoming. At some point during the summer, but I’m not entirely sure when, the paper I wrote with my long-standing Lincoln Institute of Social Computing collaborators, now at Cork, York, and Northumbria, was published in Funology 2: “Playful Research Fiction: A Fictional Conference”. 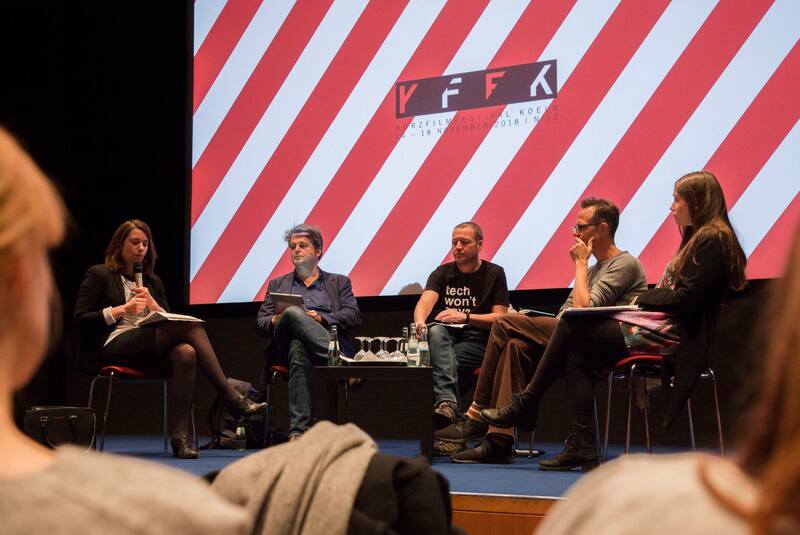 And in November I spoke at the entirely splendid KFFK.de – the Cologne Short Film Festival – about why our cultural visions of an artificially intelligent future are so often dystopian warnings. Posted on February 17, 2019 by Dan O'Hara. This entry was posted in Blog and tagged #AI, Cologne, conference, HCI, publications, talks, Weird. Bookmark the permalink.